Quitting smoking is a perfect idea! Get a powerful, motivating reason and do it now! Do it for yourself: to feel better and look younger, and to reduce your chance of getting lung cancer. Do it for your family: protect your loved ones from secondhand smoke. It's not common to successfully quit smoking by stopping immediately. 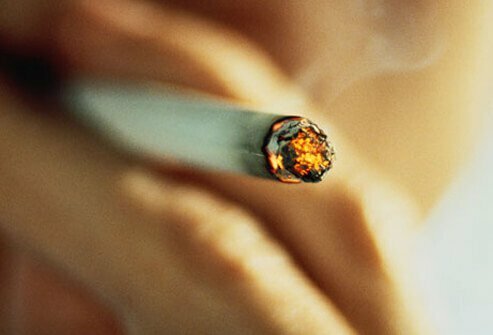 Most people who quit "cold turkey" end up smoking again. Nicotine addiction can require gradual tapering to avoid withdrawal symptoms. Nicotine withdrawal can cause restlessness, depression, and can lead to frustration. Cravings can be overwhelming. 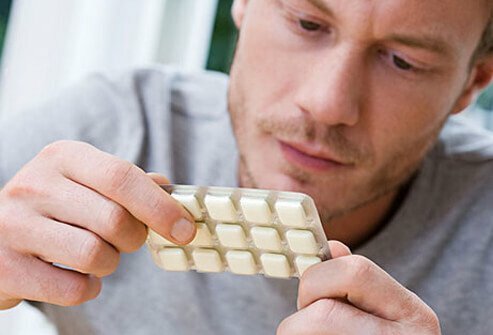 Nicotine replacement treatments including nicotine gum, patches, and lozenges can help. Do not smoke while using nicotine replacements. Discuss nicotine replacement with your doctor. 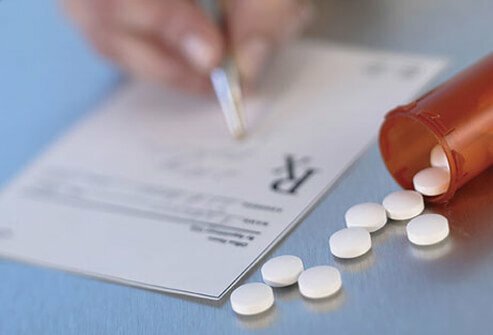 There are prescription medications that can reduce the craving for cigarettes and reduce withdrawal symptoms. Friends and family can encourage and support you while you are quitting smoking. Some find support groups and/or counselors helpful. Behavioral therapy is often used with success. When these methods are combined with nicotine replacement therapy, your odds of success in quitting can increase. Stress reduction techniques are helpful when quitting smoking. Helpful methods can include yoga, tai chi, music, massage, and exercise. 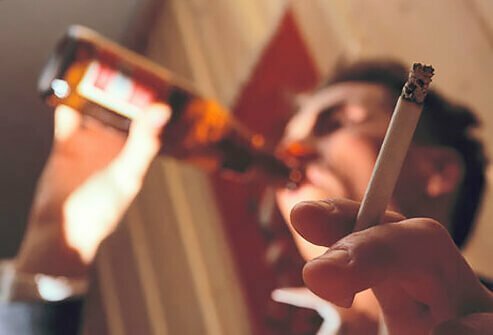 Alcohol can be a trigger that causes people to return to smoking. Similarly, coffee and meals can cause relapses. Find your triggers, and replace them with other activities. Some find it helpful to brush teeth or chew gum after eating. Clear your home of anything that reminds you of smoking. Remove ashtrays and lighters from your home and wash your clothes, upholstery, draperies, and carpets. Air fresheners will also help to eliminate that familiar smell. Relapses are common. 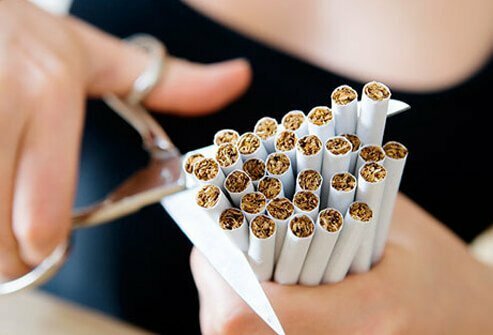 If you relapse into smoking, analyze your situation and what might have triggered you to smoke again. Redefine your commitment and set a "quit date" and do it! 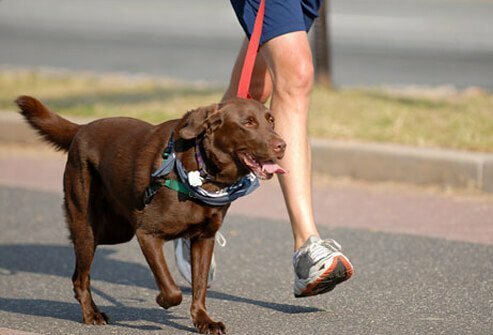 Exercise activity can reduce nicotine cravings and withdrawal symptoms. When you feel like smoking, go move and find an activity you enjoy. This can also help to keep your weight optimal. Don't worry about dieting during the early stages of quitting smoking. Focus on eating healthy foods. 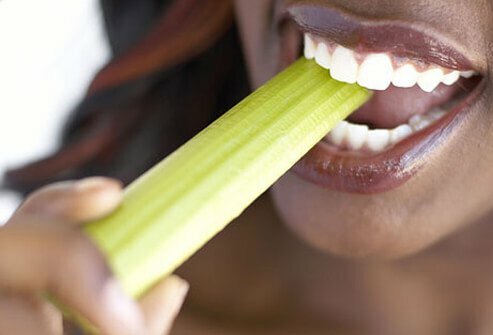 Of note, vegetables, fruits, and low-fat dairy products tend to make cigarettes taste poorly, according to a Duke University study. 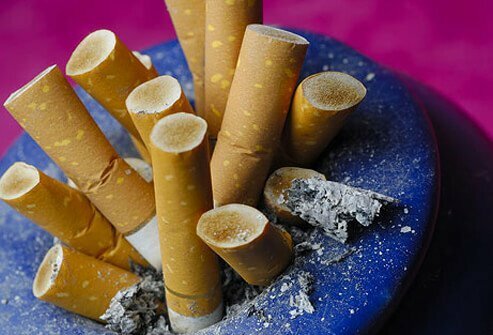 Another benefit of stopping smoking is financial. Reward yourself by spending your extra money on something that you enjoy or saving for something you really want! The real reward in stopping smoking is improved health. Stopping smoking lowers your blood pressure, decreases your risk of heart attack and stroke, as well as lung and other forms of cancer. UpToDate: "Quitting smoking (Beyond the Basics)"